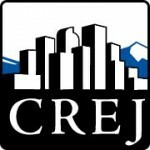 Plentiful capital, attractive market fundamentals and low interest rates contributed to more than $10.3 billion in Denver commercial real estate transactions during 2015, and 2016 should be another solid year for investments, according to CBRE Inc.
Denver ranked 16th in the country for total commercial transaction volume in 2015 and 26th for the year-over-year increase in volume. Multifamily sales transactions dominated overall activity in Denver and set a record for annual transaction volume of $4.6 billion. Office sector sales volume totals finished 2015 below their prior-2007 peak, although the office sector reported gains from 2014 to 2015. Industrial was the only sector to report a decline – albeit minor – from 2014 volume. Looking ahead, pricing is expected to remain aggressive in 2016, especially for prime assets. 2016 will be another solid year of investment activity across the board, but a slight pullback in volume is anticipated in multifamily, industrial and downtown office sectors due to extensive trading activity in recent years and a resultant lack of sellers. Capital sources consider U.S. real estate a favorable investment, particularly amid stock market volatility and global instability. Underwriting standards are generally conservative and some volatility is expected in the CMBM market in 2016. Denver saw increased foreign capital investment in 2015 across property types, totaling $1.6 billion. Further, 13% of transaction volume originated from cross-border capital in 2015 versus 17% at the national level. Canadian and Singaporean investors were the most active buyers of Denver real estate by sales volume. One of the most notable 2015 foreign capital investment deals was Samsung SRA’s purchase of CoBank Center in the southeast submarket for $414 per square foot, which set a high-water mark for suburban office pricing. The Q4 2015 NCREIF U.S. Property Index revealed a 13% annualized total return for all property types due to an 8% appreciation return and a 5% income return. The latest total return was up from 10.3% at this time a year ago. The retail sector posted the highest return (14.9%), followed by industrial (14.5%) and office (12.2%) sector returns. Denver reported higher-thanaverage returns in all property types with the exception of the office sector. Denver’s Q4 2015 annualized return of 15.2% for all property types was up 50 basis points over the 14.7% annualized return in Q4 2014.